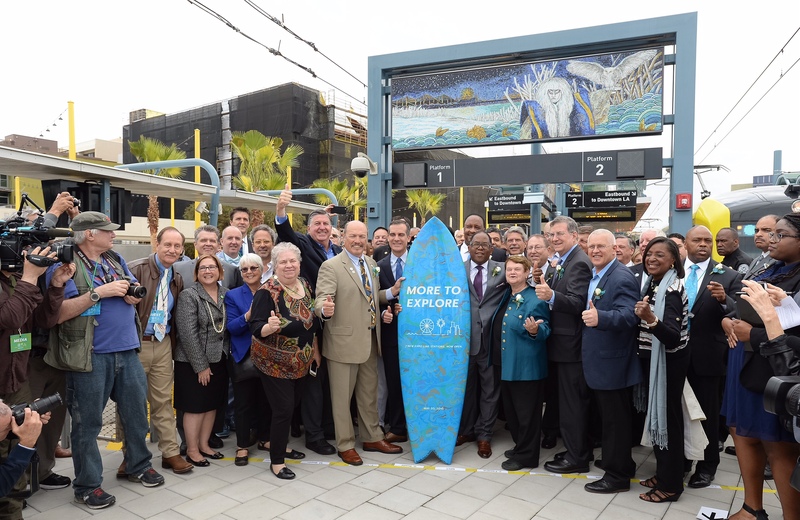 Commuters can now travel by train to the beach, with the opening of the Expo Line extension to Santa Monica. 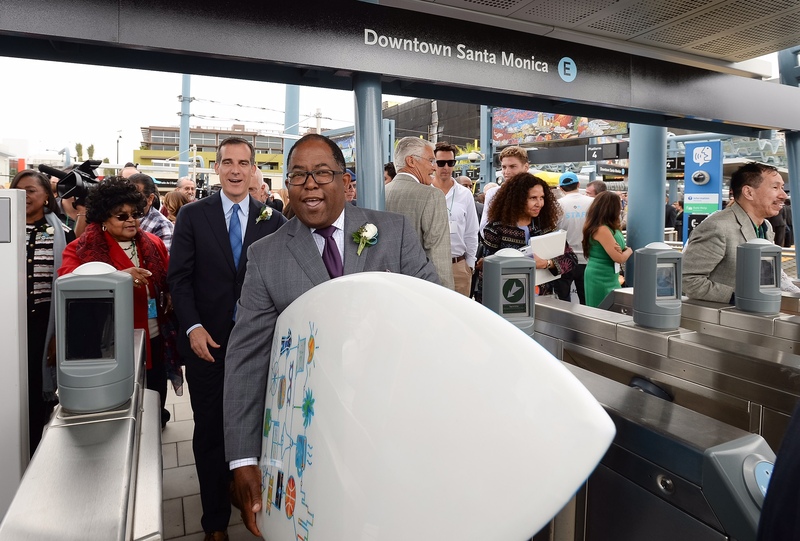 The 1.5-billion dollar project features seven stations, including several in Los Angeles County’s Second District, and the last stop is only half a mile from the iconic Santa Monica Pier. The Expo Line now stretches 15.2 miles between downtown Los Angeles and downtown Santa Monica, with 19 stations in all. The extension makes up 6.6 miles and 7 stations: Palms, Westwood/Rancho Park, Expo/Sepulveda, Expo/Bundy, 27th St/Bergamot, 17th St/Santa Monica College and Downtown Santa Monica. Celebrations and ribbon-cutting ceremonies were held at each of the stations, as the people welcomed their new community asset. 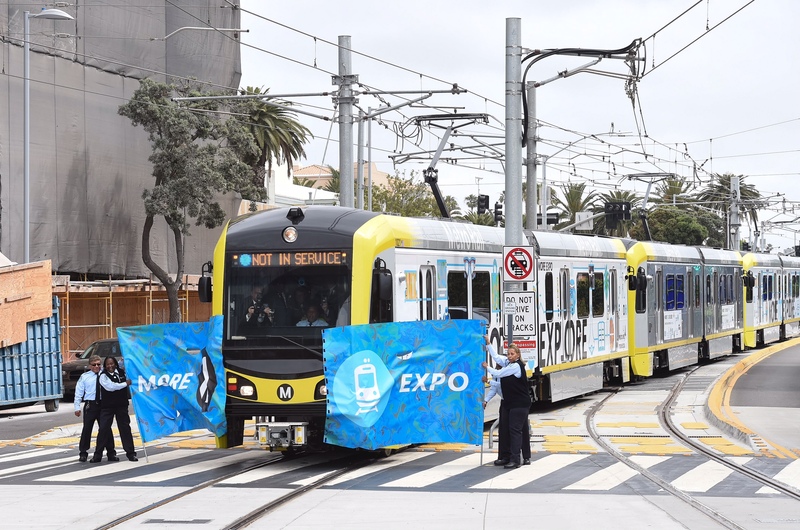 Ridership on the Expo Line extension is projected to total 18,000 to 20,000 weekday boardings after the first year of service. 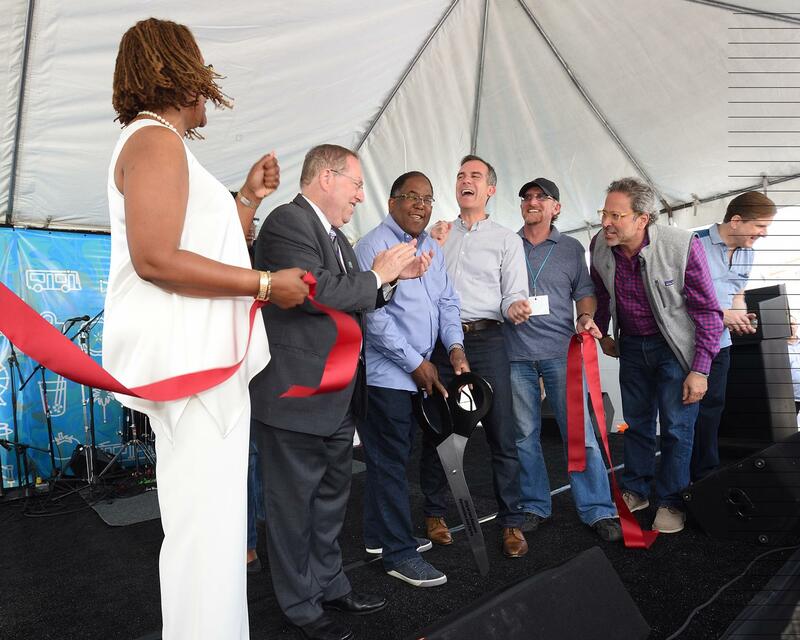 “For the first time in a generation, Angelenos and visitors from around the world can travel from our skyline to the shoreline without setting foot in their cars, bringing needed relief to some of our most congested corridors,” said Los Angeles Mayor and Metro Board Second Vice Chair Eric Garcetti. Service on the Expo Line begins each day at about 4:45 a.m. and continues until about 1 a.m. on weekdays and 2 a.m. on weekends. Trains will run every 12 minutes until about 8 p.m., after which service will be every 20 minutes. A paved bike path runs adjacent to the tracks for most of the route between Culver City and the 17th Street/SMC Station. A regular Metro fare is $1.75 and includes two hours of free transfers for those using a TAP card. A daily pass that is good for unlimited rides on Metro is $7 and monthly passes are $100. There are discounts available for seniors, the disabled, Medicare recipients and students. Please see taptogo.net for more information on how to apply for discounted fares. With the Expo Line extension, the Metropolitan Transportation Authority rail system now includes six lines spanning 105 miles.